The rules on state tax credits have been updated. Read “State Tax Credits Are Becoming Less Valuable” for more information. In previous years we suggested purchasing Virginia Land Preservation Credits. A dollar of tax credit could be purchased for 75 or 80 cents, saving a significant amount of money on state taxes. In recent years, however, some of these credits were challenged. Some of the people who purchased them had to redo their tax returns. Now, 88 cents is one of the best prices available. You still have to pay short-term capital gains on what you save. As a result we are not recommending them this year. Instead, we recommend the Virginia Neighborhood Assistance Program (NAP). Virginia offers tax credits in exchange for donations to nonprofit organizations serving the truly needy. More than 200 charities have been designated as NAPs. Donors to NAPs can receive a Virginia tax credit for 65% of the value of their total contribution, an increase from the previous 40%. For example, a gift of $100,000 to a NAP qualifies for a $65,000 Virginia tax credit. For some taxpayers, a donation to a NAP may yield total federal and state tax savings worth more than the amount they gave away. NAPs provide health care, education, housing, job training and food to the poorest people in our communities. Well-known organizations such as the Virginia chapters of Habitat for Humanity, Boys & Girls Clubs and the Salvation Army are included, as well as smaller ones like the Soho Center for Arts and Education and the Church Hill Activities and Tutoring. To be eligible for the 65% Virginia credit, you must contribute a minimum of $500. A $500 gift to a NAP is eligible for a $325 Virginia tax credit. You may donate cash or marketable securities. Gifts of merchandise, services or real estate are not eligible. Remember that a tax credit is far more valuable than a deduction because it reduces your total tax bill dollar for dollar. Taxes have soared on the most productive small business owners. Thus tax savings are more critical than ever. Virginians in the top federal tax bracket can donate $100,000 to a NAP and receive the equivalent of $110,350 in total federal and state tax savings. Let’s assume Mr. Biz has shares of highly appreciated stock worth $100,000. Because his business profits flow onto his personal tax return, he is in the highest tax bracket. For many, capital gains taxes are 0%. Others pay only 15%. But if Mr. Biz tried to sell the stock, he would owe a 23.8% federal capital gains tax. He would also owe a 5.75% tax to Virginia. 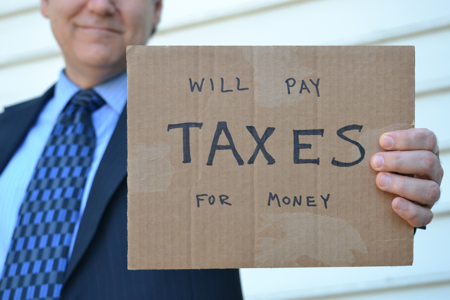 After paying these taxes he would be left with only $70,450. Instead of selling the stock and paying the capital gains tax, Mr. Biz gives the stock directly to charity. By transferring the stock to a NAP, he avoids paying any federal capital gains tax. He can take a deduction of $100,000 against his income, saving him $39,600 on his federal income taxes and $5,750 on his Virginia state taxes. But his tax savings don’t stop there. He receives a $65,000 tax credit from the NAP. In all, Mr. Biz receives a total of $110,350 in tax savings. What would have only been worth $70,450 if he had tried to cash it bought him $110,350 in tax savings. It is not unusual for small business owners to owe $65,000 in Virginia income tax. If their company’s profits are $1.2 million, they will owe over $65,000 in Virginia income taxes, even if they put most of that profit into long-term capital purchases. Capital projects can’t be expensed. So the money is still taxed in the year it is earned. At least with NAP credits they can get some of that tax money back. Nowhere other than the tax code can you get an instant 56.6% return on your investment just for giving money to charity. Even if you are in a lower federal tax bracket, your tax savings may still be significant. For many middle-class Virginians, the total tax savings generated through a gift to a NAP is likely to be worth nearly as much as the gift amount’s cash value. To receive tax credits for your donation, first contact the charitable organization and determine if it has any remaining tax credits to allocate to your gift. If tax credits are still available, fill out the Contribution Notification Form and send it to the organization. The charity will facilitate the transfer of the tax credits to you. After submitting the paperwork, you will receive a tax credit certificate. At tax time, attach the certificate to your return. The Department of Social Services and the Department of Education manage the transfer of the credits. Each qualifying charity is assigned a set number of credits annually. Your donation might not receive a credit if the charity has already given away its share. But if you receive more tax credits than you need this year, you can carry them forward to future years. If you want to make charitable donations to a NAP, don’t wait until the end of the year. Applying for the tax credits does require some extra effort. Your gift and the corresponding paperwork must be complete by year-end to receive the credit for 2013. Charities receive their credits on July 1 and often have donors already lined up. For links to the charities that qualify as NAPs, visit our website at www.emarotta.com/nap. Give generously this year to help Virginians in need and save money at the same time. Don’t hesitate to take advantage of this tax code oddity. The article accounts for someone in the top tax bracket getting $110,350 in tax savings for giving a highly appreciated stock on which they would only be able to pocket $70,450 for a net gain of $39,900. Taxes have some complex effects. One of the effects of using this strategy is that in the year after you use it you have $65,000 less in Virginia state taxes that you have paid. As a result, there is no deduction and you will probably owe $25,740 more (39.6% of $65,000). So the net gain is less counting the lack of a state tax paid deduction.